There is nothing like letting your little one help in the kitchen. 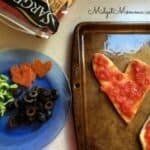 For these mini heart pizzas I had my daughter and my nephew to help me. They get so excited to be able to help me out it makes the end results that much better. Valentines day used to be about going to for a romantic dinner but now that I have my children its about making them feel extra loved. I have now forgotten about my fancy steak dinners and traded it in for cute pizzas. You can change out the topping to match each persons taste. I let each kids make there own pizzas. 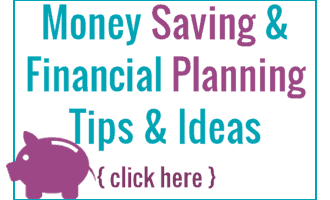 You can either make your own pizza crust or buy some premade pizza dough. Preheat the oven to 375 degrees. Roll out your pizza dough. 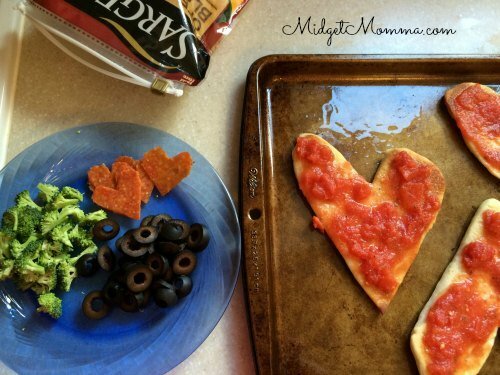 Either with a pairing knife or a large heart shaped cookie cutter, cut out mini hearts. Place them on a greased baking sheet. Prebake the crust for eight minutes. Flip the crust over and place the sauce on the crust. Top the pizza with the cheese. 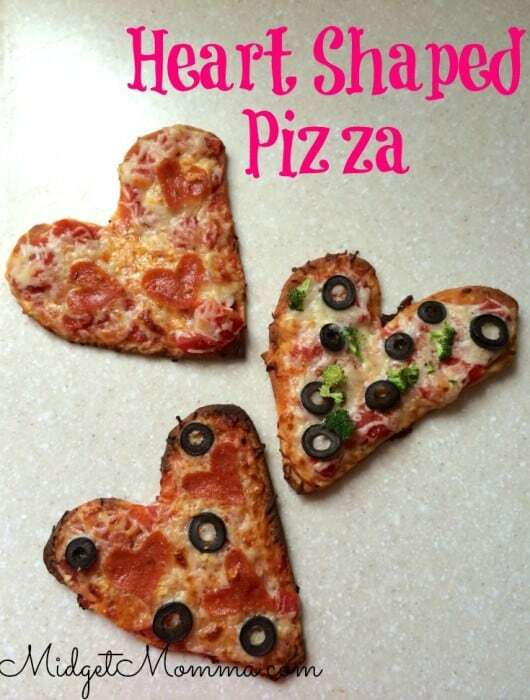 Than have fun and top the pizzas with your favorite toppings. Bake the pizzas for another eight minutes.